We have hundreds of colour options to suit if you need something specific and cannot find it in our showroom. Using our bespoke carpet colour service you know you will have the exact colour you are after. Our carpet fitters will not only get the new carpet ready for you, they will provide a professional installation solution to give it a longer life. We are one of very few carpet showrooms to offer this service. Call our carpet fitters today on 0208 699 9300 to discuss your coloured carpet requirements or arrange your free no obligation home or business visit – you can see our new carpet colour options in the comfort of your own home or office. Our stock includes a variety of different makes, styles and colours of new carpets which all create a spectacular look for any room. The beauty of our bespoke colour carpet service is that you can have exactly the colour you want. It really is that simple; just tell us the style of carpet and the colour you need and we will do the rest. We have professional carpet fitters that provide high quality floor installation solutions to a variety of properties across Kent. We specialise in the supply and installation of the highest quality carpets in one of the largest ranges of colours on the market today. Our bespoke coloured carpets are suitable for any commercial or domestic property and are regularly fitted into living rooms, bedrooms, dining rooms, attics, conservatories and other living spaces. Based in Forest Hill, we provide the highest quality carpet services to clients across South East and South West London, including in Dulwich, Beckenham, Lewisham, Streatham, Catford, Bellingham, Penge, Crystal Palace and Brockley. For more information about our huge range of commercial flooring options, please do not hesitate to visit our Forest Hill showroom or contact one of our helpful and friendly flooring installers. 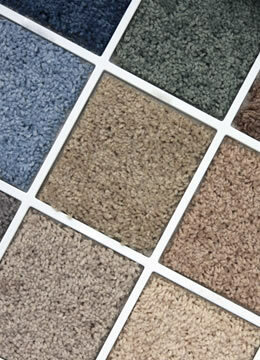 Our bespoke colour carpet service is backed up by a professional installation by one of our expert installation teams. For more information about our huge range of commercial flooring options, please do not hesitate to visit our Forest Hill showroom or contact one of our helpful and friendly team.